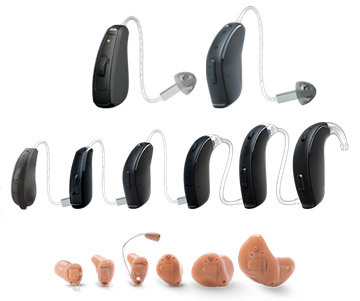 Paradise Coast Hearing Care in Naples, Florida is proud to offer hearing aids from ReSound. LiNX 3D is the newest and most advanced digital hearing aid from ReSound. With ReSound LiNX 3D you’ll be better at identifying speech in noise and be able to hear more sounds around you. You can use your hearing aids like wireless headphones. And you’ll get a brand new dimension of control over your hearing aids. ReSound LiNX 3D makes it easy to talk on the telephone or use FaceTime®. You can stream calls from your iPhone® directly to your ReSound LiNX 3D smart hearing aid. Your hearing aids act like a pair of wireless headphones so you can stream music directly from your iPhone to ReSound LiNX 3D. Make out the finer details in any environment – even when streaming music, talking on the phone or watching TV.